No wine variety shouts “summer!” quite like Sauvignon Blanc. It’s the ultimate warm-weather wine. If any wine can be said to taste like summer, this is it. However, not all Sauvignon Blanc is created equally, as we shall see. How is it that the same grape can have so many different expressions in the bottle? Well, where the Sauvignon Blanc is grown and made into wine says a lot about how it’s likely to taste. Climate matters. French Sauvignon Blanc is easy to distinguish from that produced in New Zealand, which, in turn, is different than Sauvignon Blanc made in California. In New Zealand, Sauvignon Blanc tends to be aggressively herbal. Many people say it smells like cat pee; you either love it or you don’t. New Zealand Sauvignon Blanc has very dominant green flavors, almost tasting like asparagus at times, with grapefruit and gooseberry underpinnings. I like it in limited doses, usually alongside something like grilled asparagus, artichokes (a notoriously difficult wine pairing) and grilled or seared scallops. The archetypal Kiwi Sauvignon Blanc is Cloudy Bay ($25.99). But for a little less coin, I’d also give Oyster Bay ($12.99), Monkey Bay ($7.98), Kim Crawford ($15.99) and others a try. The Sauvignon Blanc varietal originates in France’s Loire Valley, where Sauvignon Blanc-based Pouilly-Fumé and Sancerre are made. French Sauvignon Blanc tends to be much less herbal than that of New Zealand, with a firm mineral backbone. Still, there is a noticeable grassy element; it’s just not as pronounced as in New World wines, which I find to be less subtle. French Sauvignon Blanc also skews pricier than its Kiwi cousin, but can be well worth the money spent. One of my favorites lately has been ChÃ¢teau Reynon Sauvignon Blanc ($15.98), which offers up tropical-fruit and lemony flavors—not too grassy. I found it to be an excellent partner for shrimp risotto with fresh English peas. Another fave is Pascal Jolivet Sancerre ChÃ¢teau de Nozay ($33.99). This biodynamically produced wine is elegant, with lots of finesse. It’s a steely rendition of Sauvignon Blanc, flinty and a bit racy; it will get better with age. Another excellent French Sauvignon Blanc is Domaine Michael Thomas Sancerre ($26.49), a gold-medal winner from Le Concours Mondial du Sauvignon. It’s citrus-charged, with nice white-peach flavors—perfect for pairing with chÃ¨vre. Here in the United States, Sauvignon Blanc can be straightforward, steely and clean, like the Joel Gott ($10.99) or Charles Krug ($16.99), or it can be more rich and oaky, like Rochioli ($37.03), which is fermented in a combination of oak barrels and steel tanks. Through the years, one of my favorite Sauvignon Blancs from California has been St. Supéry Napa Valley Sauvignon Blanc ($17.99). St. Supéry winemaker Michael Scholz aims for balance in his Sauvignon Blanc and achieves it. It has good acidity, which makes it food-friendly, and its zesty lemon-lime and grapefruit flavors aren’t over-the-top or too tropical. St. Supéry is a crisp, vibrant wine, but with nice roundness and just a hint of smoke. One more worth tracking down is Saracina Mendocino County Sauvignon Blanc ($19.99). It’s intensely floral, with Loire-style white-peach, pink-grapefruit and jasmine flavors and aromas, all tied together with a marvelous mineral core. 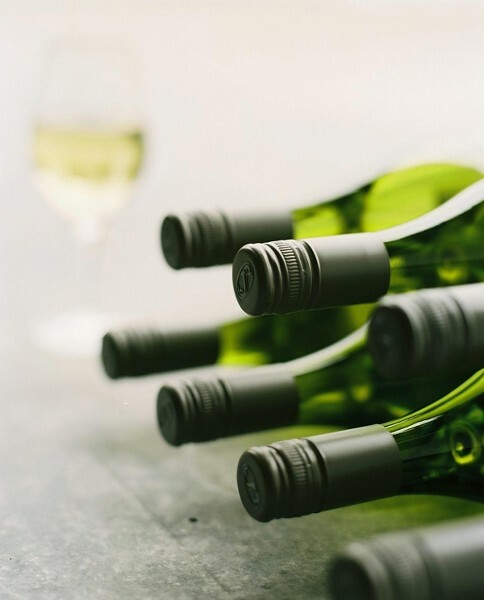 To discover the intricacies and differences in various versions of Sauvignon Blanc, I recommend inviting some friends over and doing a blind tasting of one or two samples from the different winemaking regions mentioned here. It’s a great way to learn to love summer’s quintessential wine.